This is the cliche reincarnation with cheat system story. The story is interesting at first but it becomes a repeating series of arrogant enemies picking fights and getting crushed. There’s no real setbacks and it becomes tiring reading trash talk from every enemy the hero meets. Everything is super exaggerated to try and distract from the repetitiveness (i.e., attacks from the lowest tier fighters can “cut the world” whatever that means). It wad good in the beginning, but after ~100, it's "another xianxia"... mediocre xianxia. Also that annoying 2nd harem girl. Author can't find normal role for her, she is useless, but she is everywhere! Every ch author notice that girl. Why? I did not get very far into the story, because this novel is almost a fanfiction as the power-up process is the game Diablo II. Not “something like Diablo”, but Diablo itself. For reasons only the author knows, the MC can jump into a game of Diablo II as a Barbarian player. So in addition to transmigration, we now also have a pseudo-VR game type story for Diablo II which is separate from the MC’s new world. Diablo II. Yes, that famous game produced by Blizzard. Actual game characters like Warriv and Akara, actual questing and mechanics like Town Portal and inventory limitations; lifted wholesale from the game and placed into the story as a way for the MC to grind, level up and gain skills to be taken back to his fantasy kingdom setting. Story – Progresses at a good pace, has a good amount of action and build up of power levels. Small amounts of information is given and it is relatively easy to understand what is going on in the story. Main Character – Main character is a generally cool-headed, and his power is quite unique but at the same time not because it is from a IRL game. I’ve seen some reviews dismissing this novel because of this reason but I suggest you to read it and check it out for yourself. The foundations of the story are quite good, yet the execution leaves much to be desired. The game mechanics, as well as the rise of glory of a single city state is all rather intriguing. Yet, the greatest problem with this story is that the protagonist simply cannot adapt to the medieval setting. He's still very much Just a contemporary Chinese man whom has lived in a super-city all his life. The story had great potential. The author ruined it all by projecting himself into the story far too much. Like other reviewers may have mentioned, the novel was cool in the beginning. Even though initially, the thought of using Diablo 2 as an inspiration for MC's powers was offputting, it eventually grew on me. Certainely an Epic novel. One of the best chinese western style novel ive read so far. But be remided that, this is NOT A XIANXIA WUXIA (with all cultivator and martial artist and stuff) but a WESTERN FANTASY NOVEL (with dragon, Magic, Kingdom, wars and stuff) Dont get confused and miss reviewed this novel because of your own personal views and misconception. Its simply ignorance. First few chapter, is undoubtedly a 4 star. But after that few chapter, it goes downhill. Enemy comes. Bad mouths the Chambord Kingdom, Alexander says 'Dumbf**k", "Go to hell, you can't look down on my chambord" Beats up the Enemy, Citizen "Hail the King! ", Some random who-the-f**k says "Oh wow, this Unknown (emphasize on the unknown) has big potential!" Then new enemy comes. King destroys them and citizens goes "Hail the king" all over again OR if the enemy is stronger, a Diablo chapters just comes out and makes... more>> the MC stronger. Repeat the process. Well after repeating that for like 200 chapter, I think 2 star rating is justified. Again, the first few chapter is undoubtedly amazing, the plot is great. The side characters were well thought out. But unfortunately, it's your typical CN where the MC is overly arrogant, every side characters on the side of the MC is overly loyal, like so f**king loyal their initial personality given to them at their introduction is destroyed and became a Yes man puppet. For example, the character "Lampard?" (I can't remember anymore), compare him to chapter 1 and later chapter. Dropped this when "that" happened. One of his followers is being bombarded by magic entering her body, and it's getting so that she might explode at any moment from the over abundance of magic. At this moment in time, the MC thinks, "Hey, let's stick my d*ck in her. That'll help!" WHO THINKS LIKE THIS!? It was so random - so out of the blue, that I had to reread the passage to make sure I was reading it right. I could have taken it if it was foreshadowed somehow previously that "it" was the 7th wonder of the world with the power of Jesus to cure things, but nooo. It popped up out of nowhere. And of course that d*ck is so magical that it cures her of all her symptoms right away. Screw logic, and screw her too I guess. I really liked this novel in the beginning. Now it's the 4th or 5th time in a row that random bullies appear and randomly kill citizens. An entire cavalry just ran through the gate (which is apparently left open over night for some reason) and literally bull rush and trample the citizens for sh*ts and giggles. look all everyone needs to know is, the MC is a man's man. Though some of the early annoying characters take a while to get rid/killed of... (bad guys that is) but it gets good after. Another good point is he ain't a pu**y when it comes to women. It's annoying. Very annoying. I loved it at the start, but it turned into your everyday Chinese op MC novel (xianxia for short). I am all for over powered main characters and I would be lying if I said that I haven't enjoyed some xianxia novels/graphic novels. What got me on this was my expectations being too high and the sudden shift in the main genre. What I mean by main genre is that, if at the start this was or seemed like at least a kingdom building novel with... more>> a smart MC, it then just shifted into a xianxia novel with a simple-minded MC. The author tries to justify this simple-mindedness by saying that it is his strategy to trick his enemies. But it is pretty apparent that the author just wants to make an over powered main character that plows through things at the speed of light. I would've given this a two, but the references warmed my heart. And the [give] skill the MC gets being used in such a way was one of the things I liked most about the whole novel. I have finished Diablo 2 on the hardest difficulties with all the classes and I loved the game. So I also felt nostalgic reading this. But it relies on Diablo 2 too much in my opinion. At this rate, if you called it a Diablo 2 fan fiction I wouldn't notice the difference. Being a harem also gets minus points from me. As I dislike the genre and see no need to have it in the novel, other than it turning into total fanservice machine like most fictions with the harem genre I have seen. At the early chapter, the story was kind of cool and still had some tactic and strategy to win. At least he wasnt a muscle head who swing his axe whenever he please. but later on the MC fight like an idiot who think nothing but like a bull. 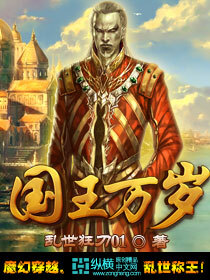 Typical Chinese novel... MC goes to a new world gets some power. Becomes a boss. Then steals and murders his way to power. MC really has no morals... But I believe that's actually just the frame of mind Chinese think. Anyone who has a thought outside of the frame of MC. Is wrong.. everyone should be loyal to MC. No one else has value unless MC says so.. when MC is not strong enough he lies low.. until he is stronger than nominal allies so that he can over power them and make... more>> them serve him. I love OP MCs. also I love Diablo. Ever since the necro expansion came out a week ago, I've been playing a ton of d3. I discovered this story at the same exact time... and omg its just too good to be true. great plot, great story. I usually enjoy novels that include a MC who is extremely strong, and especially if those that don't have to do with a man chasing a woman in every single chapter. I understand why some people enjoy the harem aspects, but which guy in... more>> real life can actually... keep up with 6-9 women all the time. Dont have to say much about the story, reincarnation/transported to another world, MC can travel to a diablo world to get stronger by copying the characters' avatar. That part is pretty nice, though not really exactly like it was in the game, but that's fine. It's a typical underdog, weak to strong story, but nothing wrong with that, writing is decent, action fun and in general the story is pretty good. The villains are made to hate, but we have a few dark sides to the hero, which is nice.... more>> Not too much kingdom building yet, the story progression is very slow to begin with. It's an okay read in my opinion. The story is unique and different enough to be interesting. I suppose there will be those that doesn't like that his unique powers comes from him traveling to the world of Blizzards Diablo. I don't really mind that since I've always loved Diablo, and I find it interesting to have the protagonist interact with characters from the game, but I can see how some people find that kind of cheap. Now there's a couple of things that I really dislike, which makes this review a... more>> 3 rather than a 4 or a 5. First, some times the protagonist makes decisions that really doesn't make sense at all, and the antagonists react in a way that isn't very realistic, rather they react in a way that's just built to fit the protagonist, while they could and should easily wreck the protagonists plans. The plot armor is fairly strong and obvious in this one. Second, this novel has been tagged for both comedy and parody. While the protagonist can be kind of amusing at times, it's hardly enough to be tagged as comedy. The reason it's tagged as such is probably because almost all characters and empires are named after famous soccer players, teams and stadiums. Maybe some characters are named referencing something else, but to me these soccer related names are the most prominent. Rather than being fun it just feels really out of place and immersion breaking when names like "Chelsea Empire", "Didier Drogba", "Fernando Torres", "Paris Hilton" etc shows up. I just feels like the author doesn't have any clues of western names for his novel that's set in a western world, so he just googled names of famous western stars. Maybe he did it because he found it fun to put famous names in a fantasy world (not that the characters have anything to do with the real people other that their names), but to me it just feels so immersion breaking. Third, everything comes down to fighting. And I mean next to EVERYTHING. Some people like a lot of action in their novels. If you just like action, you will like this one, but it really is too much fighting for me. Protagonist's got to travel from destination 'x' to destination 'y' with some of his soldiers. On the road to 'y' there will be a couple of stops, a fort 'z' and a city 'u'. On the road from 'x' to 'z', there will be a fight with some enemies of the kingdom. When he gets to 'z' he will find a reason to fight the fort. On the road from 'z' to 'u' he will conveniently bump into some mercenaries that's done something bad to his people. Time to fight! Further up to road to 'u' there's someone that want to arrest him for the killing in fort 'z'. Time to fight! Finally reach city 'u'. Hmm, he's spent at least one day without fighting someone now... Let's throw the city garrison at him! Time to fight! Finally reach destination 'y'. The first thing that happens? That's right receive a duel challenge for the next day. Well at least he isn't fighting anyone this day right? No, wrong! Let's go to an inn and fight off assassins! After the duel the next day, let's have him fight a couple of the other guys friends as well! Hmm, that's not enough, let's make sure that an assassin try to kill him when he leaves the dueling area. You get my point? At least I think that it would be nice if he sometimes could solve things without fighting. There are some mysteries and exploration involved but as soon as he interact with someone other than his own people you can be 90% sure that it'll end up in a fight. Fourth, the antagonists are really bland. As far as I've got (ch275) almost all his enemies have been kings and princes that have the same arrogant personality and want to bully him because they either think he's weak, or because of jealousy. The author also for some reason have to make sure that all the enemies knows that he's got a really hot fiance. In almost all, if not all, PoVs from the enemies that we get to read, they have to mention how they're going to take her once they've defeated the protagonist. It doesn't even matter if the enemy had any prior knowledge of her or not, if he doesn't, one of his subordinates will be sure to point it out to him. Even the one female antagonist that has shown up so far, told him how she would have a beggar r*pe her and sell her to a brothel the first time he met her. So basically all the antagonists are arrogant, horny royalty that wants to steal his wife. Hopefully some more interesting antagonists will show up later. I would give it 5 stars if not for the naming. The naming ruins all of it. Pretty much everything important and/or influential would have football related names, whether that is people or places or states. It kills the whole vibe of the story. If not for that, I'd rate this 6 stars out of five.